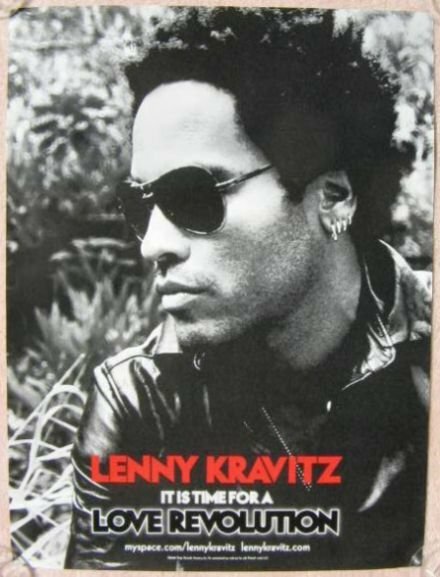 This LENNY KRAVITZ advertising poster is hard-to-find. It was NOT available for retail sale, only being used at stores to promote his It Is Time For A Love Revolution album. Size is 18" by 24". It is in great condition for display, at least Mint/Near-Mint. It will be shipped rolled in a sturdy tube.